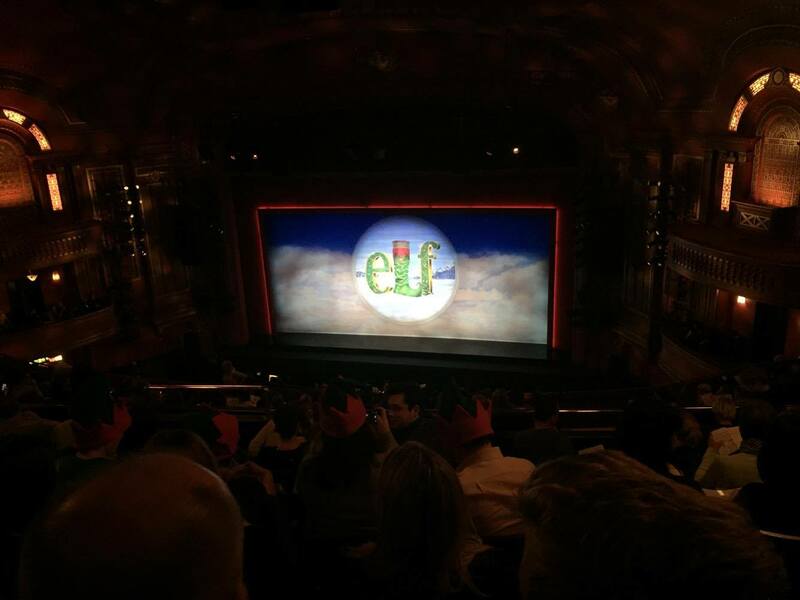 Yesterday evening it was Date Night, so we headed to the Dominion Theatre to watch Elf the Musical. I certainly had high hopes and perhaps they were too high. Being in love with the film and Will Ferrell I knew the musical had a lot to live up to but did it? In my honest opinion, I wasn’t blown away. There were a few standout moments and Ben Forster who played Buddy the Elf gave a fantastic performance from start to finish. I feel as though they set themselves with a difficult task of recreating a family favorite Christmas film. The set wasn’t anything to write home about, although the special effect at the end with santa’s sleigh was a nice treat to finish with. The many children around seemed to be really enjoying it and this time of year it’s delightful to see that. As a theatre lover, I feel as though this is one for the kids and the kids only. A strong ensemble and Ben Forster did a good job with what they were working with. Finally the soundtrack was fantastic and made you feel very festive indeed. Elf is running until 2nd January 2016 and you can visit the website here. Have you seen Elf the Musical?